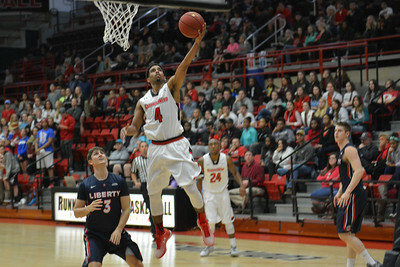 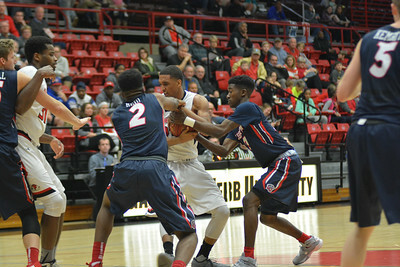 Number 23, Adonis Burbage defending against Liberty. 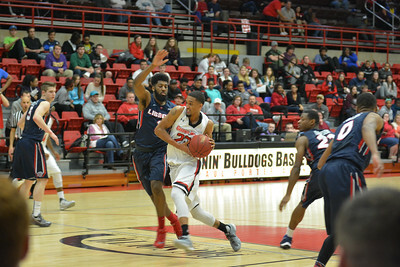 Tyrell Nelson, Number 20 has the ball about to pass to Adonis Burbage. 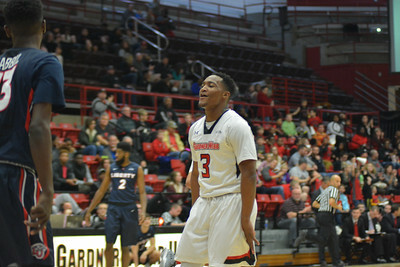 Laquincy Rideau aming to get the ball back. 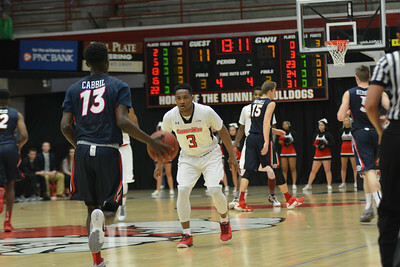 Number 3, Laquincy Rideau has his eye on the ball. 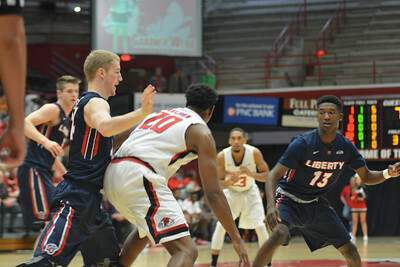 Defending the ball against Liberty. 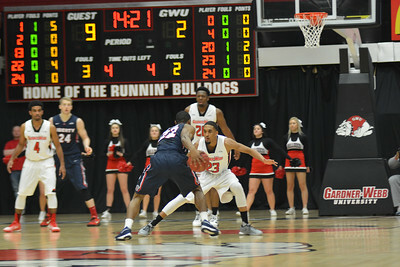 Number 23, Adonis Burbage attempting to keep possession of the ball. 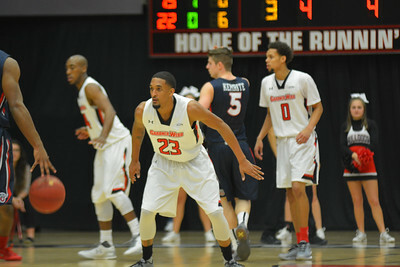 Number 23, Adonis Burbage playing defense. 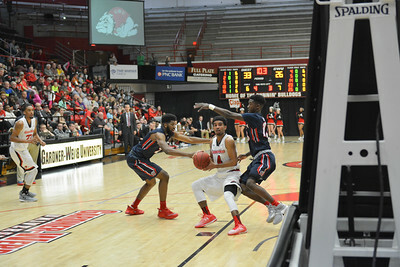 Isaiah Ivey moving the ball down the court. 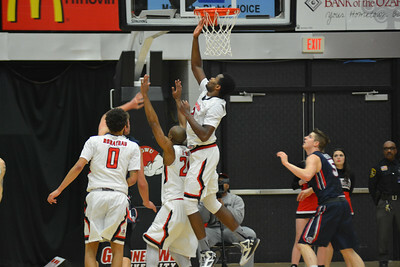 Number 31, L'Hassane Niangane reaching up for the ball. 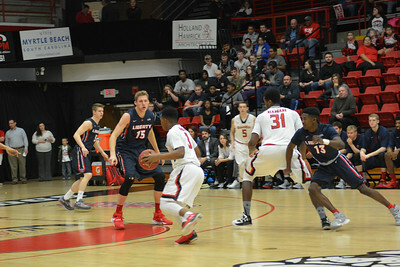 Number 5, Dylan Poston moving towards the basket with the ball. 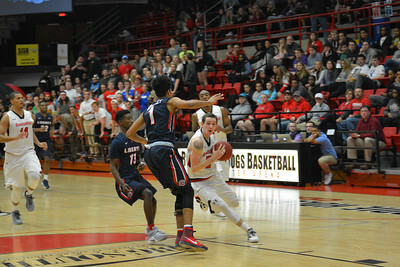 Dylan Poston passing the ball. 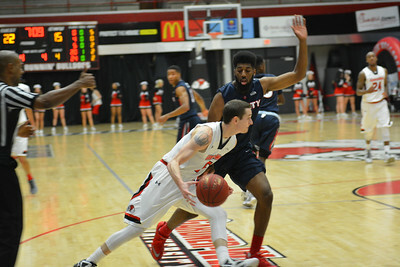 Number 20,Tyrell Nelson obtaining the ball from Liberty. 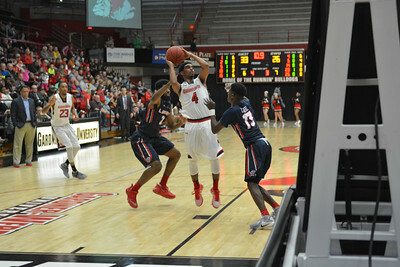 Jamaal Robateau shooting the ball. 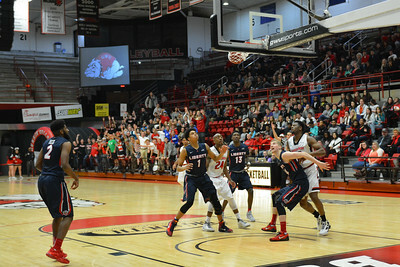 Players watching as Gardner-Webb is scoring. 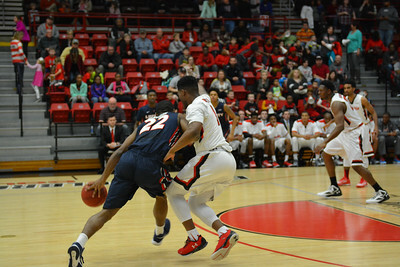 Number 4, Harold McBride dribbling the ball. 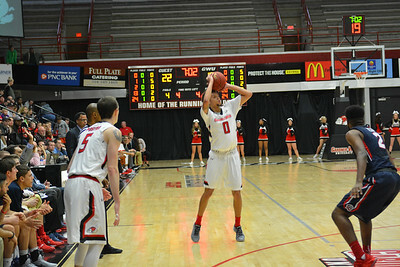 Number 4, Harold McBride shooting the ball. 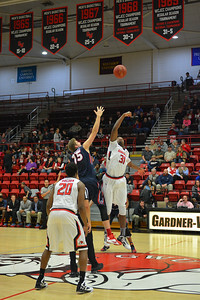 Number 31, L'Hassane Niangane shooting the ball. 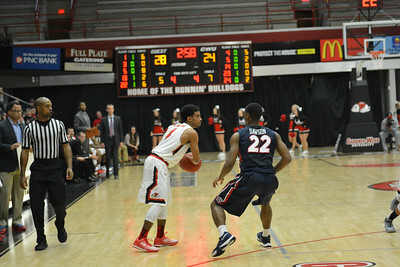 Number 4, Harold McBride with the ball. 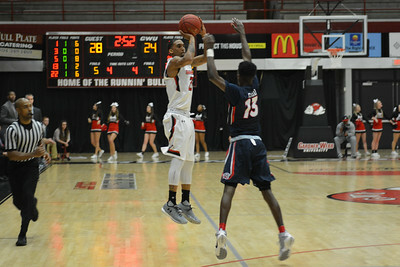 Number 23, Adonis Burbage shooting the ball. 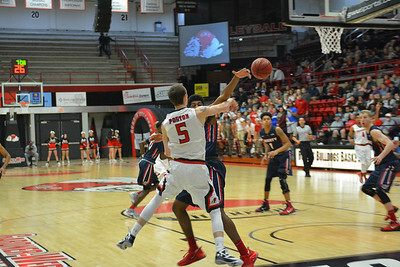 Number 5, Dylan Poston moving the ball closer to the basket. 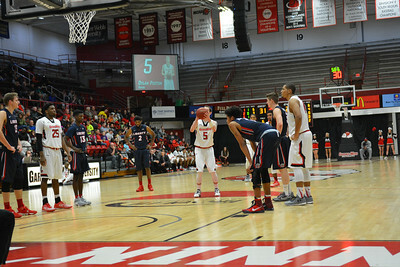 Number 5, Dylan Poston taking a free throw. 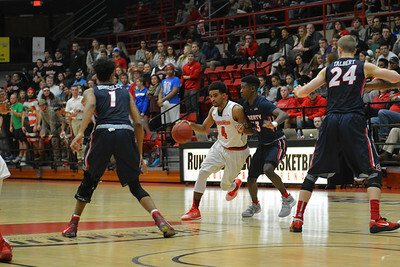 Number 4, Harold McBride keeping the ball. 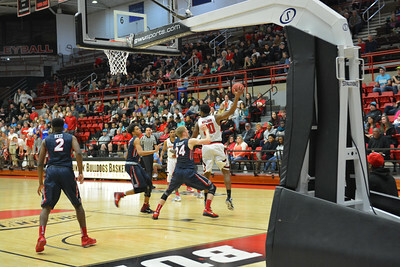 Number 4, Harold McBride attempting to shoot the ball. 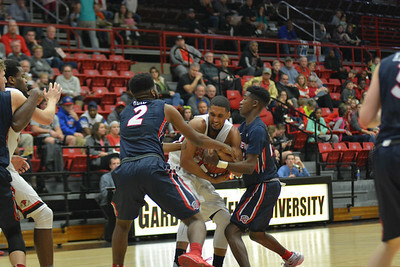 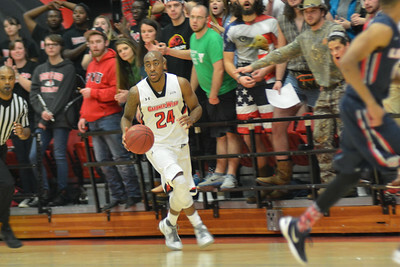 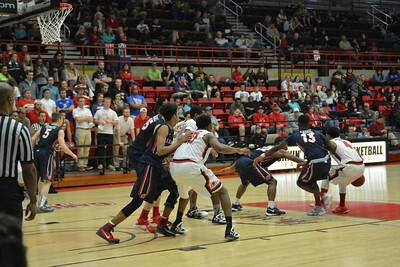 Gardner-Webb attempting to keep possession of the ball. 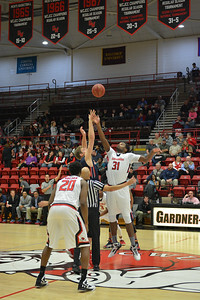 Number 23, Adonis Burbage has the ball. 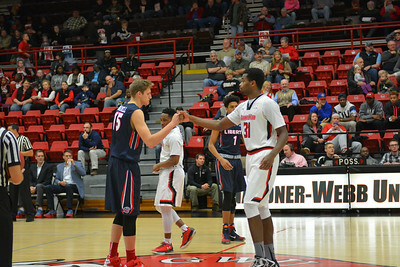 Number 31, L'Hassane Niangane shaking hands with Liberty's Even Maxwell. 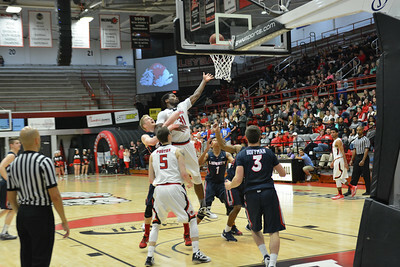 Tip off at the start of the game. 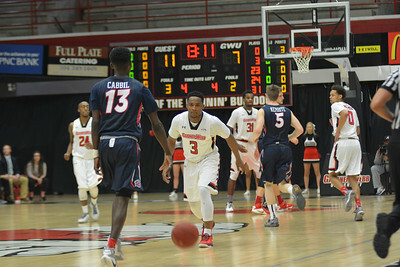 Gardner-Webb with possession of the ball.